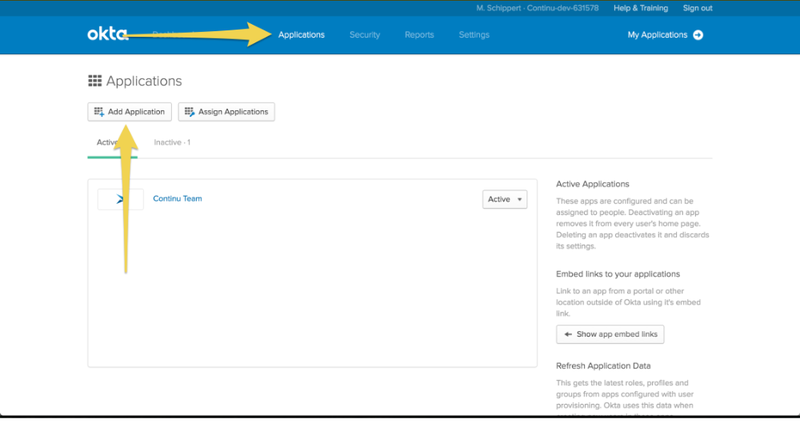 Step 4: Select a name for your application. (This will be the name that appears to your users.) If you’d like, upload a logo from your file system by clicking browse, then click ‘Upload Logo’ to confirm. (This is the logo your users will associate with the app). When finished, click the green ‘next’ to continue. 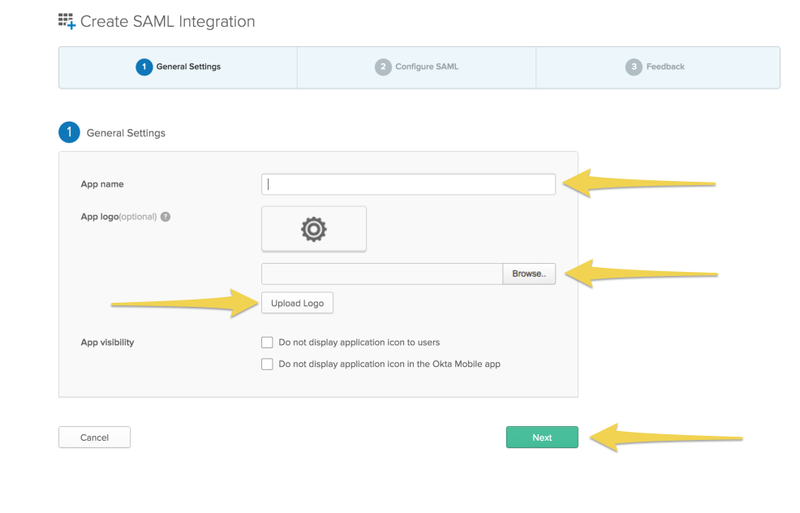 Step 5: Type the url for your instance followed by /saml/consume in both the single sign on Url and Audience URI. Visit your instance of Continu to verify the correct url and be sure to use the secure protocol (https). (e.g. - https://company.continu.co/saml/consume) The remaining fields in the image can be left untouched. 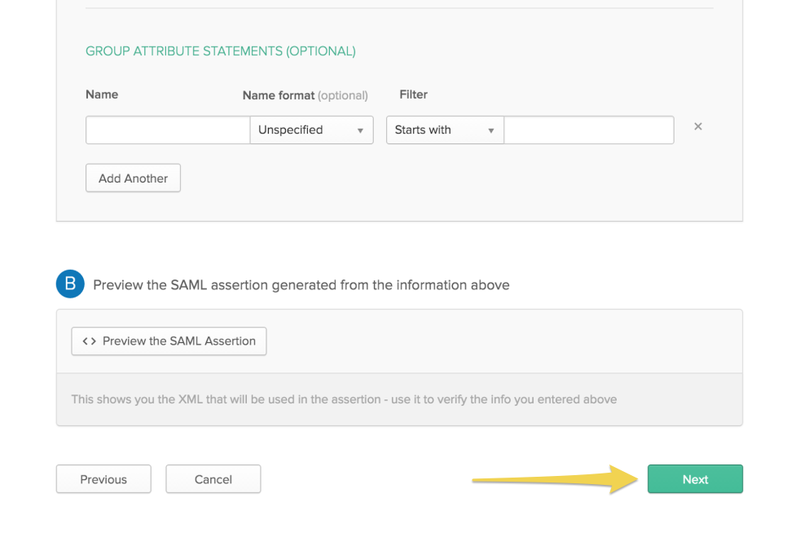 Step 6: In the Attribute Statements section, you will need to click ‘Add Another’ twice for a total of 3 field options. In the first field, type nameID in the name field, and select user.email from the value dropdown. Step 7: Continue filling out the attributes as shown below. Please be sure to use proper casing in the name fields. Step 8: The remaining fields can be left untouched. Click the green ‘next’ to continue. Step 9: Select the top option as shown below and click ‘Finish’. All fields below this are optional. Step 10: On the next page, click View Setup Instructions. Step 11: This page will provide data that you will need to update in your instance of Continu. 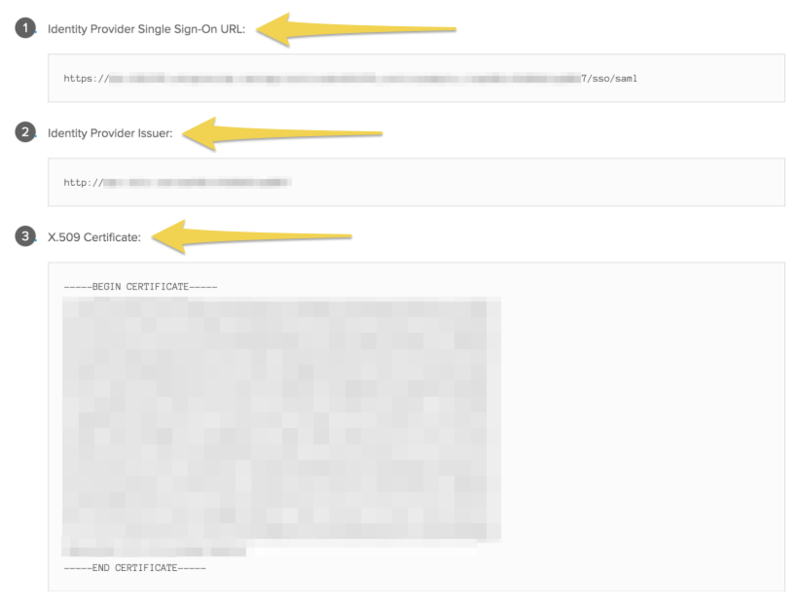 Please use this as a reference for the Single Sign-On Url (1) and the X.509 Certificate (3) in the following steps. 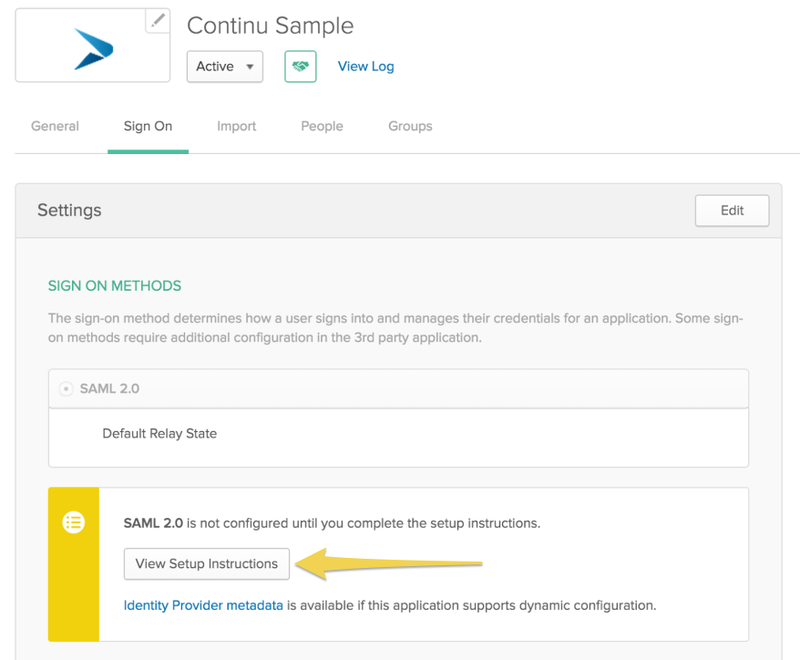 Step 12: Log into you instance of Continu and navigate to https://yourcompany.continu.co/#/saml. 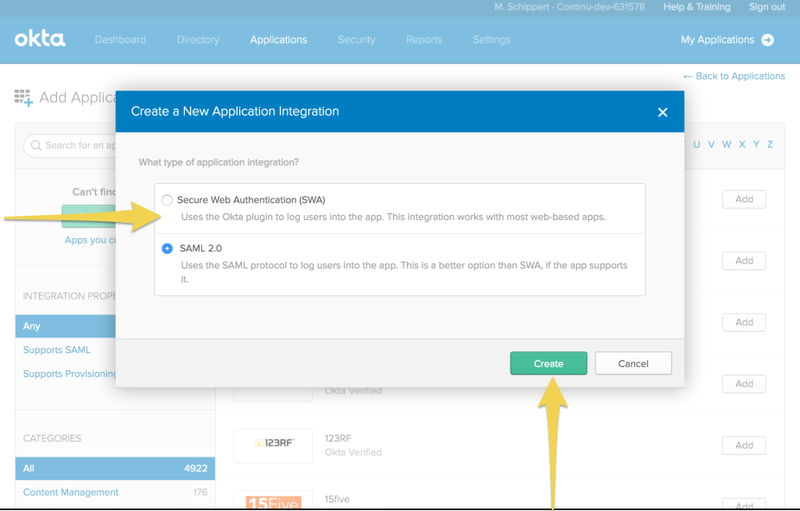 Click on the ‘Reconfigure SAML’ button. Step 13: This is where we will paste the information from a previous step. 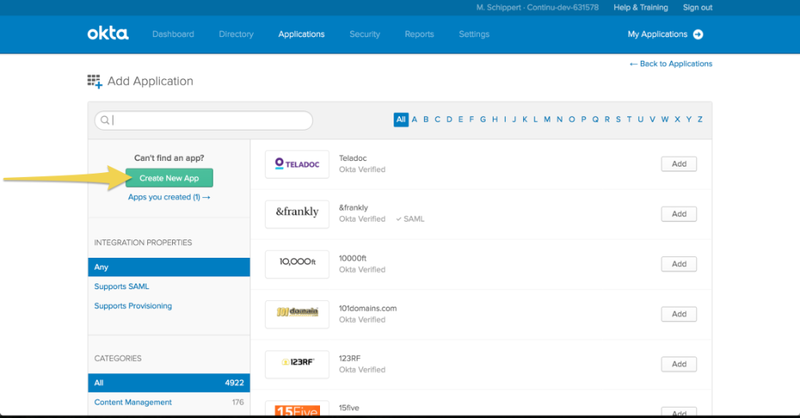 In the SAML 2.0 Endpoint field, paste the Okta Single Sign-On URL (1) In the X.509 Certificate field, paste the contents of the OktaX.509 Certificate field, including the begin and end certificate lines. Click submit to complete. Step 14: The app is now integrated with Continu. 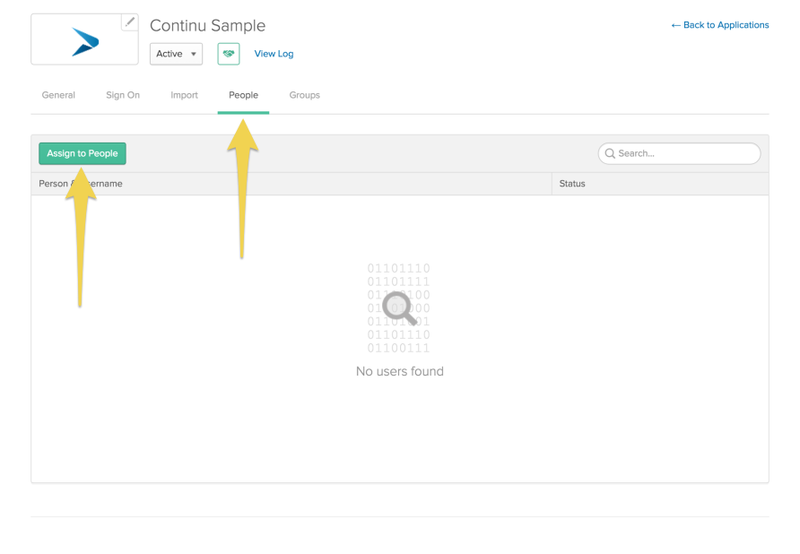 To make it available to your users, you will need to select the ‘People’ tab and assign it to the users you would like to provide access to.